Both in and out of the courtroom, Brandy is an aggressive, but fair, litigator. The hallmarks of her approach to litigation are being prepared, thorough, and detail-oriented. Brandy gained extensive medical malpractice defense experience while practicing in Nashville, Tennessee for over eight years. She also developed an expertise in representing hospitals and physicians in peer review proceedings, fair hearings, and credentialing and licensure matters. 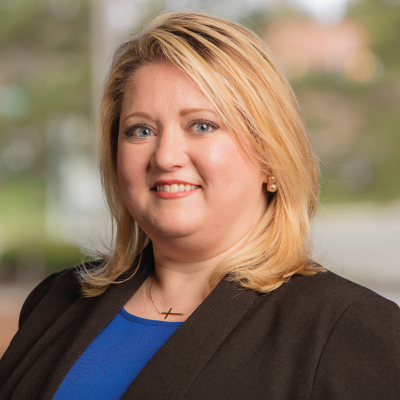 Several years ago, Brandy returned home to East Tennessee and broadened her practice to include the representation of insureds, insurers, governmental entities, and employers. Brandy has tried cases throughout Middle and East Tennessee and has argued cases before the Tennessee Court of Appeals. Emory & Henry College, B.A. Samford University, Cumberland School of Law, J.D.